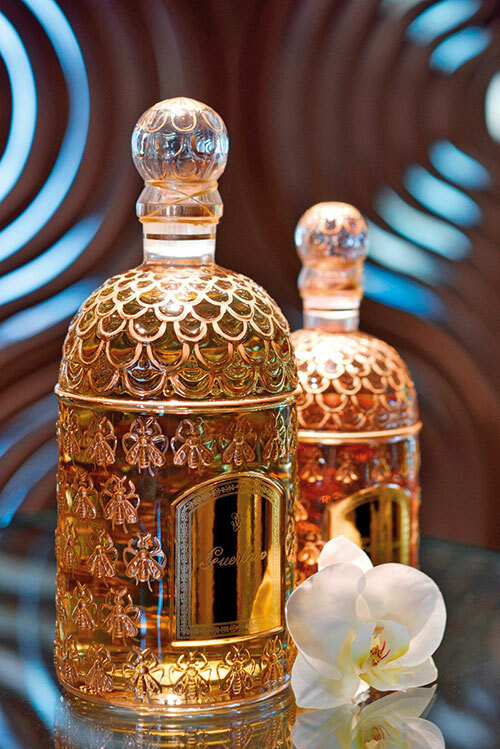 While most of us pay scant attention to the counselling wellness expert and usually aim our anticipation towards the upcoming sensory moments, this mandatory session actually propels the experience into a unique personalised direction, especially at the Guerlain Spa at Dubai’s One&Only The Palm. 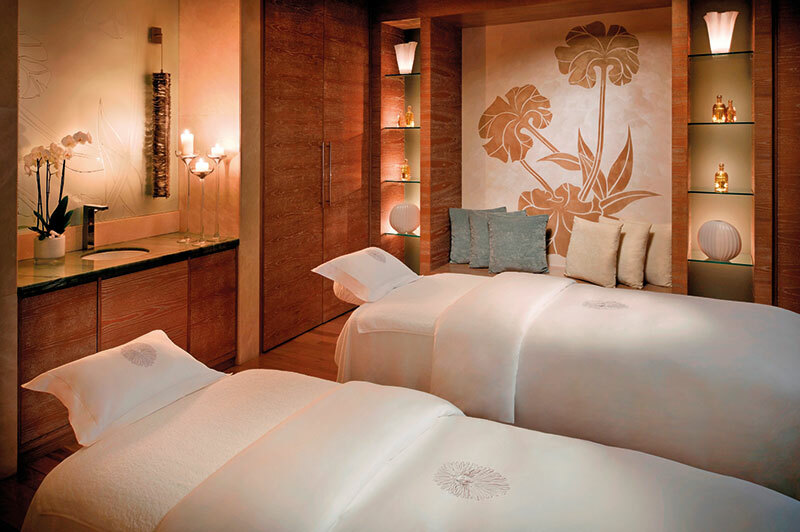 Spa manager Maria D. Marques, exuding a natural-born elegance, ensures that my body will receive the treatment it deserves much before I even step into the dimly lit suite that is enveloped by a fragrance reminiscent of wild orchid blooms. For 90 sublime minutes, the petite, nimble-fingered therapist from Mizoram rolls, pummels, kneads and stretches till the muscles turn into mush and I am transported into a surreal world of supreme relaxation. The touch can be as gentle or as firm as you desire but the alternating hot and cold temperatures and the herb-enriched oil used in the Dubai Harmony guarantee that toxins are quietly eliminated and the skin’s texture is renewed. Flowing manoeuvres then slap the circulation into an alert state even though I am feeling quite light-headed already! Guerlain’s exclusive, specially designed treatments, besides the Dubai Harmony, are the Desert d’Orient that pampers the body (comprising a silky milk scrub, a purifying wrap and a scented massage, each treatment unfolding step by step) and the Solar Evasion which promotes a healthy glow after a soak in the sun. 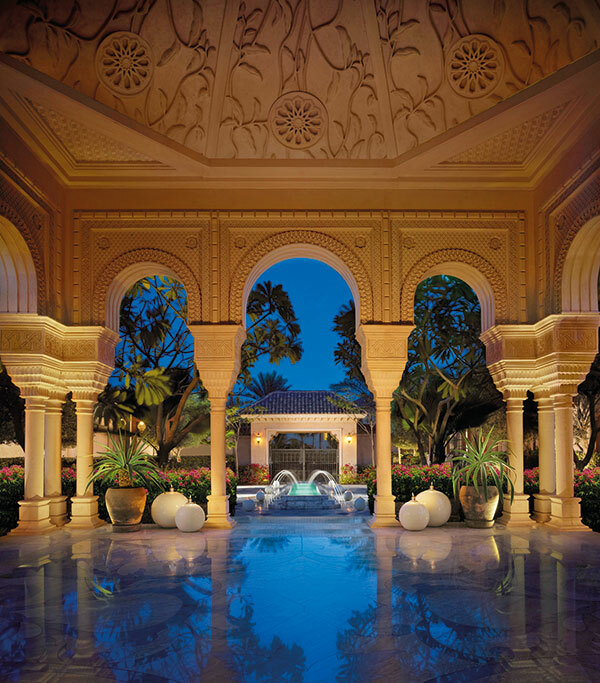 Set in the serene environs of The Palm that boasts cascading fountains and Arabian swank, the spa, whose guarded seclusion has got Hollywood’s royal nod, is where newly-weds too can languidly recover from exhausting, week-long rituals. A posh couple suite is blessed with two of everything, from showers and scrub rooms to treatment beds and soaking bathtubs!